Coming up soon the old town of Pflugerville Texas will be hosting an event like no other. 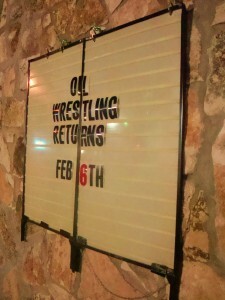 It’s time for some hot oil wrestling y’all. I’ll always cherish the memories of the old days at XTC Cabaret off Springdale Road when they used to host hot oil wrestling every Wednesday night at midnight. The performers would hoist themselves into a baby pool filled with warm oil and have a go at it like gladiators in days of yore. One transgendered Brazilian dancer was an especially ornery competitor. Those were the days. We’d load up a cooler filled with Real Ale and roll out to the club every Wednesday night for some good, clean all American fun. This entry was posted in Texas Daily Photo and tagged Austin, texas, Texas Daily Photo. Bookmark the permalink.